This is Anthony as Capn' Jack Sparrow of "Pirates of the Carribean". Anthony is a Johnny Depp look-alike if ever I saw one AND it is said that.. 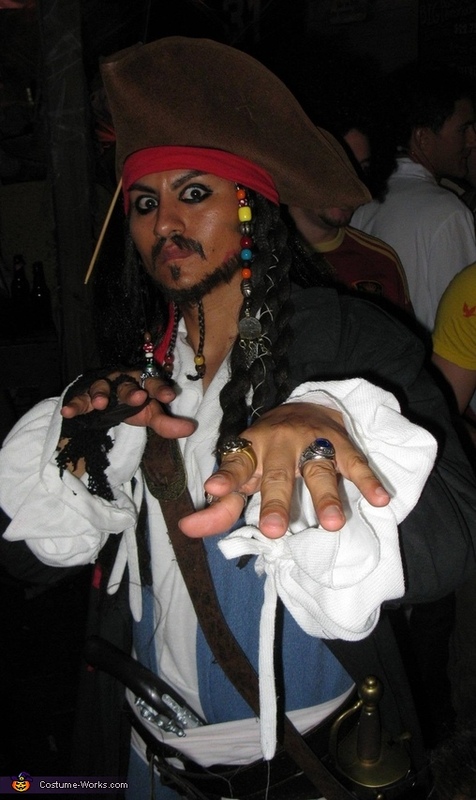 When Anthony is in Capn'Jack character he carries off perfect mannerisms of the swaggerinng, drunken, but lovable, pirate. PERFECT Costume for you Anthony! Perfect!